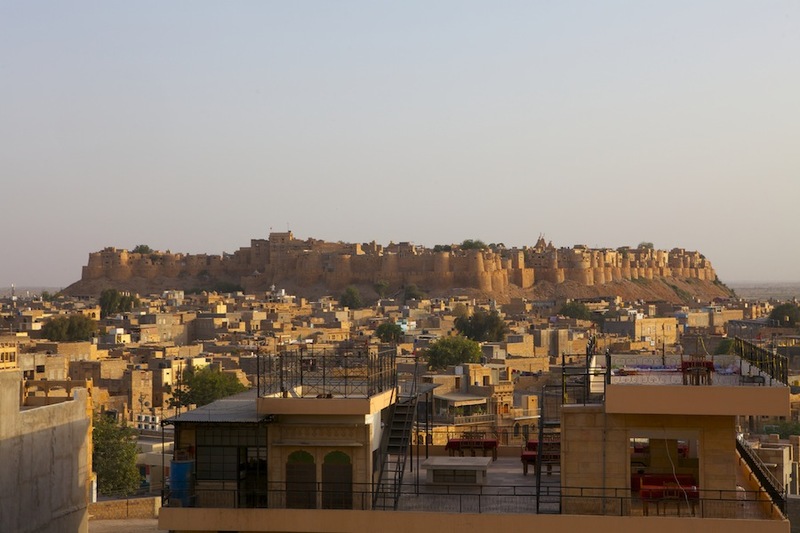 Jaisalmer is also known by another nick name “The Golden City”, which is located in the desert state of India – Rajasthan. It has been very famous among the tourists both domestic and international. who visit this city every year. Due to this reason to make your travel experience in this city easier, we are offering this Jaisalmer travel guide giving all round information about major tourist attractions like temples, palaces, forts and much more. 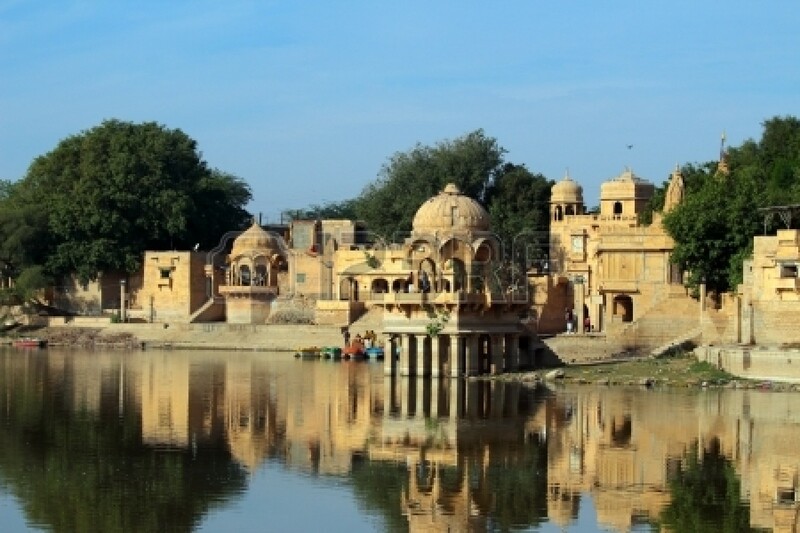 Have a look at the below mentioned famous tourist places in Jaisalmer or places to visit in Jaisalmer that are must see places and form an integral part of Jaisalmer Tourism. Jaisalmer Fort is situated in the centre of this beautiful city and famous all across the globe for its architecture and miniatures. This fort was constructed by Bhati Rajput ruler Jaisal in the year 1156 and also popularly known as Sonar Fort. 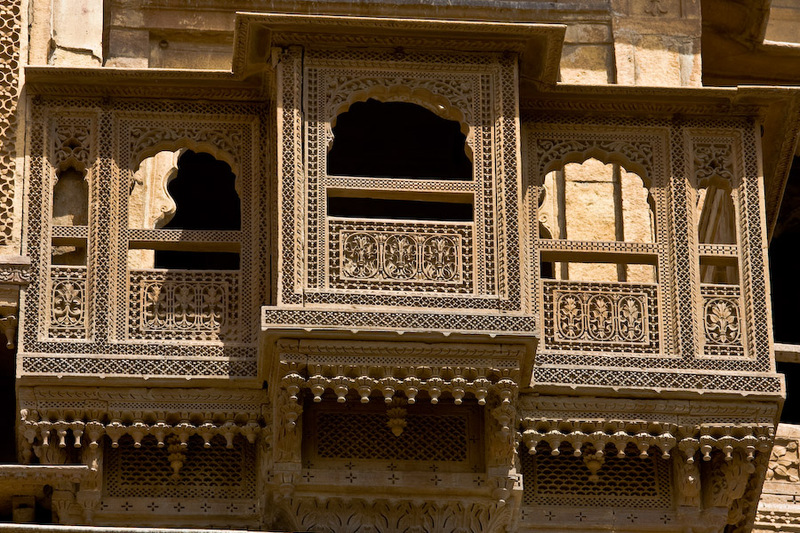 This monument is regarded as the pride of Jaisalmer and protected by 30 feet tall walls from all the sides. You must visit this wonderful fort, if you are planning a trip to this golden city. Sam Sand Dunes are one of the best famous tourist attractions in Jaisalmer that attract huge number of tourists every year. This place is ideal for desert safari as well as Jeep safari to enjoy the vast Thar desert. At the same time in the month of February and March, desert festival is also organized in this region. You will spend you night in a tent house and can enjoy camel races, folk dances and other varied cultural events. Bada Bagh is means “Huge Garden” that was built in the starting of 16th century, which serves as a memorial for various royal families and nobles. The garden has a stunning view and can be visited during sunrise or sunset for various beautiful moments. There is no availability of airport in Jaisalmer, you have to catch a train or bus from major cities like Jaipur, Bikaner, Jodhpur and many more to reach this city. Jaisalmer is very well-connected by rail service with all the major cities in India like Jaipur, Bikaner, Jodhpur and many more that enables you reach this beautiful city very easily. To reach Jaisalmer, roadways is regarded as the most convenient option as this city is very well-connected with all the major cities in India like Udaipur, Jaipur, Bikaner, Jodhpur and many more. At the same time, by hiring car for rental service allows you to the see all the major tourist attractions in and around Jaisalmer.